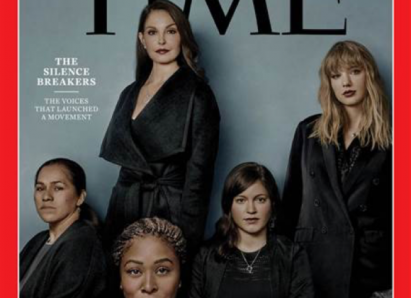 CLP Current Events examines Time magazine’s selection of its Person of the Year: The Silence Breakers. Who are they and how did they change the course of the news over the past year? Who were Time’s runner-ups? Explore the materials and find the Oregon connection. Person of the Year is an annual issue of the news magazine Time that features and profiles a person, a group, an idea, or an object that “for better or for worse… has done the most to influence the events of the year”. 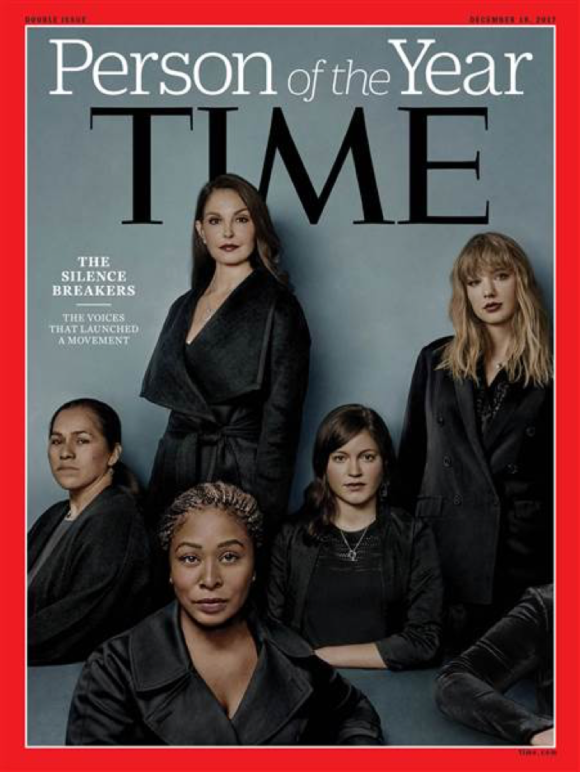 CLP: this is TIME’s article announcing its Person of the Year; not short but worth every word. CLP: Lists some of the Silence Breakers and their stories including Oregon Sen. Sara Gelser. CLP: helpful one-sentence descriptions of runner’s ups in TIME’s list. CLP: ask students to explore the list, click on faves, make their own suggestions, etc. Runner-ups include: Jeff Bezos, Dreamers, Patty Jenkins, Kim Jong Un, Colin Kaepernick, #MeToo Movement, Robert Mueller, Crown Prince Mohammed bin Salman, Donald Trump, and Xi Jinping. What does “influenced the news” mean? What criteria would you add or subtract in making the choice? Who would you add to the list? Why would you add them? Does the person make the news or does the news make the person? Why are groups or movements or inanimate objects included on this list? Should the name of this recognition be changed to avoid thinking of this as an honor rather than a recognition as a change agent? Is gender equity a consideration in nominating candidates? Only one woman appears in the 2017 short list? Should that matter? Is criticism of Time magazine that they are using this Person of the Year to enhance its circulation fair? What do we learn from recognizing people who have been featured in the news this year? Do we want to honor the Person of the Year rather than analyze her/him? What is a “silence breaker”? Why is speaking out an important component in creating an equitable society? What does the cover of Time magazine say to us? Is the empty space in the portrait left for the next silence breakers? What about the faceless arm in the foreground? How does the change in the way we consume news affect the impact of news in a magazine as opposed to news available through social media? Is there a legal obligation to report harassment? Is there a moral duty to report misconduct? What are the risks of reporting bad actions of others? What are the risks of failing to report misconduct? Is there a difference between one’s duty to report if you are a victim or if you are a witness? Do the Silence Breakers signal a cultural change in the way we think about gender respect and the role of women in the workplace? What other changes might we expect as a result of this movement? How do respectfulness and recognition of boundaries enrich our lives? Who Should Be TIME’s Person of the Year for 2017? CLP: elementary or higher level; allows for personalizing choices. CLP: use as a template for your own Person of the Year lesson. CLP: Swift’s case explained here. Guilty Until Proven Innocent: Was #MeToo Appropriate? CLP: good questions are raised.